(Bloomberg) -- Investors may give President Recep Tayyip Erdogan a pass for one more election. Erdogan will have a lot of catching up to do during the longest election-free interval of his 16-year rule. Turkey has paid dearly once more by relying on quick fixes to muddle through in the run-up to the March 31 vote, leaving it vulnerable to a market onslaught. Desperate to avert a currency rout, authorities made it virtually impossible this week for foreign investors to short the lira, trapping them in trades they wanted to exit. The liquidity squeeze was a fitting end to a dizzying electoral campaign that saw the government strong-arm industries ranging from banks to food retailers. Facing annual inflation near 20 percent, it resorted to battling price pressures by cracking down on hoarding and selling discounted food directly to consumers. To jump-start the economy, it leaned on state banks to ramp up credit and recapitalized three of its lenders by selling bonds to the unemployment fund. Turkey is now working on a fresh plan to further bolster state-owned banks’ capital. After seeing many false dawns before, investors will likely be less forgiving than ever. Top Turkish officials know the market’s patience is running out. Treasury & Finance Minister Berat Albayrak said on Thursday that Turkey will enter “a reform period” after the election and lay out a vision for the way forward. Erdogan has also pledged changes to strengthen the economy after the vote and acknowledged the weaknesses that continue to plague it. But despite the talk of reform, a siege mentality is taking hold. In the wake of another bout of market volatility on Thursday, Erdogan said the chaos was the outcome of efforts by the West led by the U.S. to corner him before the elections. The question is if investors will stick around long enough to see if he delivers this time. With Turkey succumbing to its first recession in a decade and unemployment at the highest in nine years, Erdogan will have an uphill battle ahead. It will be far harder to make headway on such key challenges as overhauling the labor market now than during a period when economic growth of 5 percent or more was the norm for Turkey, according to Naz Masraff, director for Europe at Eurasia Group. Potential U.S. sanctions against its NATO ally over a planned purchase of a Russian defense system could make things worse. Another unknown is how Erdogan’s nationalist alliance will react if it disappoints at the ballot box. 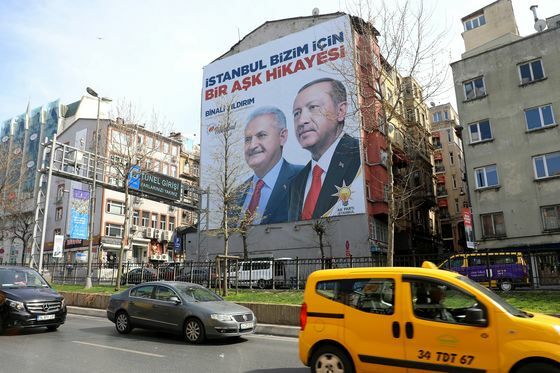 “In the wake of such an outcome, the Turkish rumor mill will work overtime delivering stories about early general elections,” he said in an emailed note on Thursday.